Avast! was established in 1988 as ALWIL Software cooperative in the Czech Republic after mathematics researcher Paul Baudis wrote a computer program able to remove the infamous Vienna Virus. Since that time, Avast! 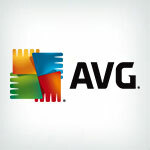 has continued expanding its antivirus technologies as well as its worldwide user base. Avast! currently protects over 200 million active devices in 41 languages. Avast! offers free antivirus and anti-spyware protection for PC and for Mac. Coverage with a paid subscription includes a slew of additional security features. One feature to pay attention to is Avast! 's SafeZone protection for secured payments and banking. Though it's not a typical focus of antivirus protection, improved financial security is a fast-growing need online. SafeZone allows users to control settings for specific websites dealing with financial transactions-such as online banking accounts, booking hotels and flights, online shopping, or any other type of money transfer-to launch in special windows that keep your financial information private. Another great feature is the value Avast! places on crowdsourcing. 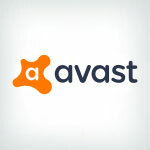 The company encourages customers to submit information about specific malware they encounter to Avast! 's ever-expanding database of threats. This supplements the live updates maintained by antivirus professionals in Avast! 's labs. Though Avast! offers extensive virus, malware, spam, and phishing protection, as well as particular attention to financial accounts, the company's antivirus products don't offer any protection specific to social media accounts. They don't monitor social media activity to alert you to suspicious activity that might suggest your accounts are being compromised. Additionally, Avast! 's subscriptions may seem relatively inexpensive, but the prices we've listed are only for securing one device. If you are looking to secure multiple computers, be sure to compare the prices for securing multiple devices, which can get pretty steep. Avast! has an extensive worldwide presence as well as an impressive, consistent performance record with AV-Test and AV-Comparatives. 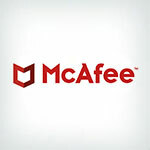 This company is a good choice for antivirus protection. At the very least, you've got nothing to lose with the free subscription option and 30-day trials for the other products! I love the free versions of Avast. They may not do much in turns of preventative defense, but their scans always clean my computers right up if I ever have issues. I have used other services, and they are no better than Avast is when needing to clear out viruses. I have used Avast free antivirus and it has always worked great. I have had a great experience with Avast (Free). The frequent pop ups to try to sell additional services are annoying but for a free anti-virus it does a great job. 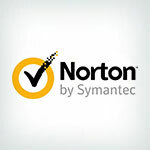 I used to use Norton but then I got a Trojan that was opening pop-ups rapidly. I was battling for control until I managed to install Avast. It stopped the Trojan in it's tracks and I got my computer back. I have been with them ever since. Caught a Ransomware and system slowed even before that. customer service is all about upgrading and selling services/options and/or add-ons it repair or optimize my computer. aggressive salespeople. went back to bitdefender even before the service expired.